Make a Website Now! Let’s talk about the function of a website first – before we start brainstorming anything else. 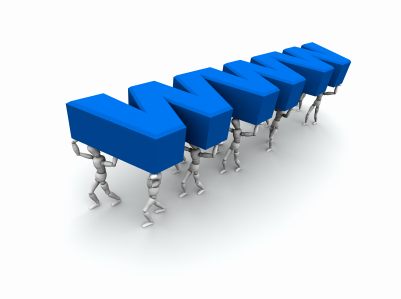 Websites are there for being used! Sites which are put up and never seen are somewhat pointless – you may as well be talking to yourself. Getting traffic to your website is a crucial part of operating websites – be it from search engines, forums, other sites… whatever. What you do with that traffic is a different question. If you rank well at the search engines, you should get plenty of free, targeted traffic. This is only a good thing. Finding what search engines want is a big industry – search engine optimization or SEO for short. Have a look at our SEO definition later, but what do search engines want at the core – content and functions! What you’re writing or adding to your website must be new and creative – something that people will want to find, read, use and enjoy. If you have a bare website, you’ve got nothing for people to do on their – similarly, if you don’t have very much to do, or what you do have isn’t very good, visitors aren’t going to hang around for long and they certainly won’t come back – that’s if you get any at all! But the likelihood is you can easily provide GREAT content. Everybody knows something about something. Everyone has a passion or an interest close to their heart. Perhaps you know something which you could warble on for hours about to someone else – but they just don’t listen. They don’t appreciate what you have to say. So picture this: – you’ve got people who are actively searching for great relevant answers to their search queries; and they find you. They become delighted with your depth of knowledge, the way you write and convey your message – they’d even subscribe to more via a Blog or Newsletter or something similar. Perhaps you’re a retired worker with ambition for a big project to work on? My Grandpa published a book of his life Captaining Nuclear submarines – it’s something we will treasure forever, and has so much great advice for people looking to go into the navy. But the sad reality is that it’ll most probably never be distributed to the people who would most benefit from it who use modern technologies such as Google to find information. What if you make a website now and preserve your legacy? Maybe you’re a teen looking to make some money in your spare time to fuel an ever-more-expensive social life! Perhaps you’ve got a hobby or a passion – maybe you’ve got an idea on a future career, or maybe just something to do in your spare time. Why wait to cash in on your knowledge and skills? When you’re young, you can pick up new skills and ideas so much quicker – building a website is a breeze! What can you pass on? What pearls of wisdom can you share to people who are actively looking for it – what are you depriving them of? What are visitors going to do on your website? What are they going to achieve? What are you going to get out them achieving this? Are any third parties going to be involved – affiliates? Some websites may be put up for information only – such as Wikipedia. But for the vast majority of us, we need some income from our websites firstly to pay our bills and secondly (for some) make a profit. In fact you could make a website now with Solo Build It – a step-by-step approach to success that everyone can use. This website was built with SBI, and you can read more about SBI Site Build It here. Alternatively watch this video. Take a look at the website and business building platform I've used for three years to build four successful websites.